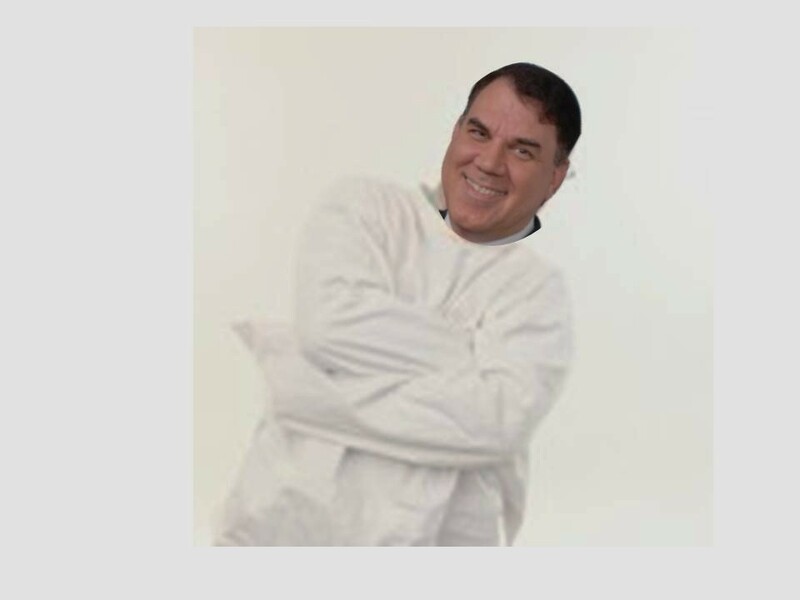 Remember former (one term) Congressman Alan Grayson? Well, he ran a Red Light and hit a Bus on the way to a swanky campaign fundraiser. Nearly shot my beverage out of my nose when I saw this. ORLANDO, Fla. — Former U.S. Rep. Alan Grayson crashed into a Lynx bus in downtown Orlando about noon Saturday. Grayson was traveling to an upscale fundraising event for his Congressional campaign. Authorities with the Orlando Police Department said the crash happened at Orange Avenue and Livingston Street. Investigators said Grayson was driving a Mercedes, when he ran a red light and hit the bus. OK. I made that part up. McMartin is going to kill me for this. Grayson is his favorite target but I scooped him. McMartin loathes Grayson with the heat of a thousand suns! Well, maybe not that much. I despise the man myself but mostly think he’s a mere useful idiot, a babbling spokesdouche for a douchebag political party. The worst campaign announcement ever. and the worst political ad ever in which he dishonestly edited a speech from his opponent and current congressman Daniel Webster. Has now made the most reprehensible, dispicable, and worst campaign announcement ever. I’m in. I’m running for Congress. Rick was 56 years old. That’s three years older than me. Rick had had a bad liver since he was 30, when he contracted hepatitis. No insurance company would go near him. anymore, so I wasn’t sure how I could help. us. Rick wants people in Congress who can’t be bought and sold. A dying man wants me to run for Congress. What exactly could I say? thousand dollar medical bills. What a tool he is. 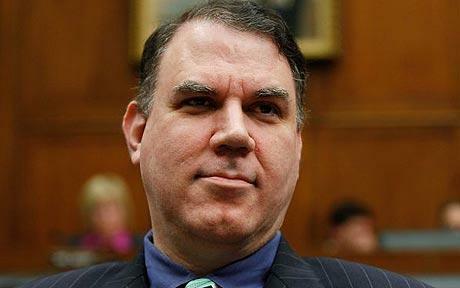 Remember Alan Grayson, the Florida Democrat who was voted out of office after producing one of the most dishonest ads in the history of Florida politics. He is at it again and today he sent out a fundraising letter from the Committee to Elect Alan Grayson. I am not sure what office he is seeking but this appeal claims that if the sale of an Orlando TV station to a Christian media company is approved by the FCC, the children of Orlando will never see Big Bird and the gang from Seasame Street again. For 46 years, Orlando, Florida has enjoyed public television and radio. And if the Religious Right has its way, that’s over. Why should we care? Well, Big Bird helped teach my five children how to read. Maybe yours, too. My children have enjoyed Arthur, Dinosaur Train, Bob the Builder, the Magic School Bus, and Teletubbies. And I’ve enjoyed the PBS News Hour, Frontline, the American Experience, and Nova. Unfortunately, however, the “Daystar Television Network,” a Christian broadcasting outfit, has waived $4 million under the noses of the directors of WMFE. (Due to inflation, what cost 30 pieces of silver in biblical times now goes for $4 million.) And the WMFE directors want to sell – to sell out. But you can help to stop them, and keep Big Bird on the air in Orlando. Everyone always complains about the media. Well, here’s something you can do about it. Let’s keep good TV on TV. Please help. Of course the problem is that it is not true; oh sure enough the PBS affiliate WMFE which has been experiencing financial hardship for several months, is in the process of being sold, but according to Florida Today, the children of Orlando will not be without Big Bird and Elmo, or Bert and Ernie. As a Christian media company moves to buy WMFE, the public broadcasting television station in Orlando, Brevard County viewers will have two options to see PBS programming. WDSC, the station at Daytona State College, and WBCC, at Brevard Community College are already available on Brighthouse, DirecTV and AT&T’s U-verse. The two stations do not air “NewsHour,” but they do carry “Sesame Street” and other popular shows. One of them could take over the role of flagship station in the Central Florida PBS market as WMFE goes off the air. It just goes to show you that you don’t have to be a sitting congressman to be a lying slime-slathered reptilian wearing a human suit. House members who voted for Obamacare have been reduced by 41 42 seats and counting. Update: Renee Ellmers pulled off the upset against Bob “Who ARE YOU?” Etheridge in NC-2. Gang of 177. Many of these (*) were so-called “hold outs” who eventually caved, meaning they showed cowardice TWICE. Once before Pelosi and Obama and once before their constituents. 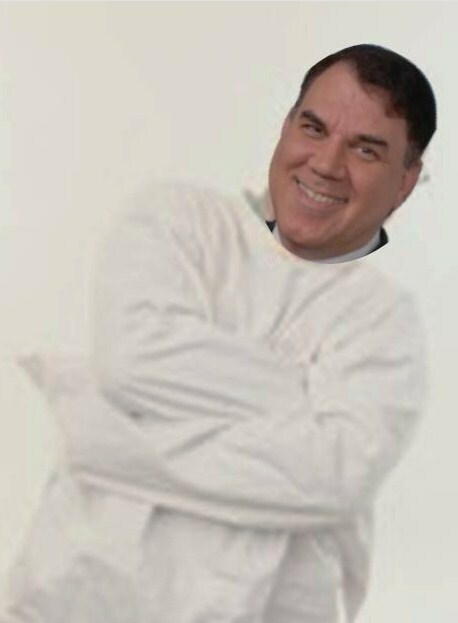 Alan Grayson** went down to Dan Webster. Thank you, FL-8. Grayson lost big. Tom Perriello. ** This one is particularly satisfying. Obama went there on Friday. I’ll stop now. Many of these candidates were targeted by Disrupt the Narrative over the last few months. ** Not taking credit. Just sayin’. More Rationality From the Stewart Crowd…. With credit to SecularStupidest.com and Breitbart. See if you can spot the Alan Grayson supporter…. This ad is so dishonest, so silly, so over the top that it can come from only one slime-slathered reptilian wearing a human suit. Other Democrats have hinted at the notion that Republicans want to leave Grandma broke, homeless, blind, deaf and in the gutter. Grayson? Not so subtle. But what would one expect from the politician that has actually done more than any other to actually leave Grandma broke, homeless, blind, deaf and in the gutter? I received another desperate fundraising email from Alan “Die Quickly” Grayson. shadowy right-wing groups has been spent to defeat . . . Please contribute $25, $50 or more, to help us turn the tide against this right-wing special interest tsunami. I am no psychiatrist, but it sounds like this guy is growing increasingly unstable. Then I got my update from the Cook Political people and it sounds like Grayson is done. Lean Republican. Like a bad disease, this race is so toxic thanks to Grayson that both parties wish they could quarantine it. And House Democrats, who point to Grayson’s self-funding capabilities as an excuse not to get involved, basically can. But for now, the preponderance of evidence suggests that Grayson’s scorched earth “Taliban Dan” attacks against GOP state Sen. Dan Webster are backfiring. Editorial boards have excoriated Grayson for taking Webster’s words grossly out of context by rolling footage of Webster saying “she should submit to me,” when Webster had actually warned husbands against that advice. As one Republican noted, painting Webster as anti-woman is a curious line of attack considering Grayson referred to a lobbyist as a “K Street whore” just last year. Webster has wisely avoided being dragged into a brawl with Grayson, almost avoiding the incumbent like he is a rabid creature, while the NRCC is up with ads calling Grayson a “national embarrassment.” Although Grayson backers say the Democrat’s off-script antics win over angry independents, boring may be better in this case. While Grayson-commissioned polling over the summer showed him in the lead while multiple third party candidates were taking a sizable double digit share of the vote, more recent internal GOP polling shows Grayson’s numbers have tanked. 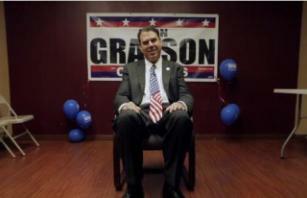 The antagonist Grayson is to Republicans what Minnesota Rep. Michele Bachmann is to many Democrats. The difference is that Grayson is running for reelection in a district and political environment tilted against his party.